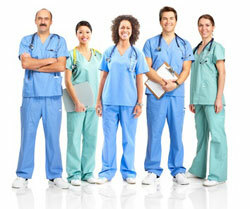 Learn how to use your RN license in another state. Transfer or work across state lines. Everything you need to know about the state you want to work in is a click away. Find your state below. An easier path to working in another state as a registered nurse. The decision to work in another state can take you into a maze of regulations, forums, and phone calls with misinformation at several of the turns. Granted, you could just check state board websites; however, the websites do not present the information in a unified way and may lead you on an endless stream of clicks giving you little information and more questions than you started out with. The beauty of this site is that it presents the information you need to work in another state in a more unified way. What you will find on each state’s page is an explanation of what each state requires for you to transfer (by endorsement or reciprocity) your license, work across state lines, and guidelines for renewals and continuing competency. We have provided links to important documents you will need such as applications for endorsement. You will also find links to frequently asked questions, links to each state board’s website, and we have included contact information for each state’s nursing board. As an additional benefit, we have included details on earnings and employment outlook for RNs in each state. You will also find a page dedicated to explaining the Nurse Licensure Compact, which allows nurses to work across state lines with less paperwork and fees. This is useful for Registered Nurses and employers. You will learn what states participate in the compact and procedures for obtaining a multi-state nursing license.